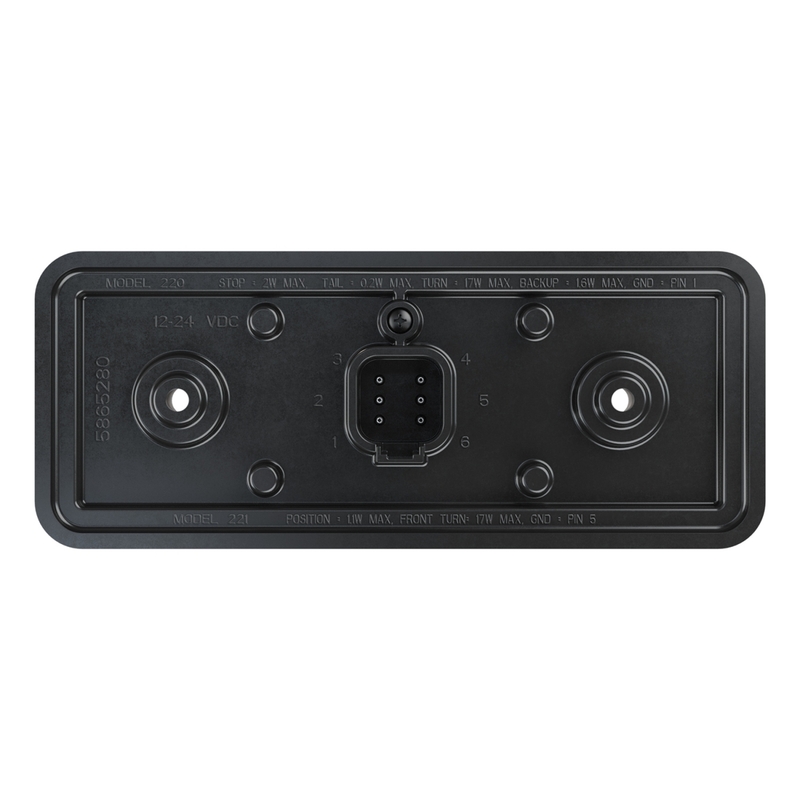 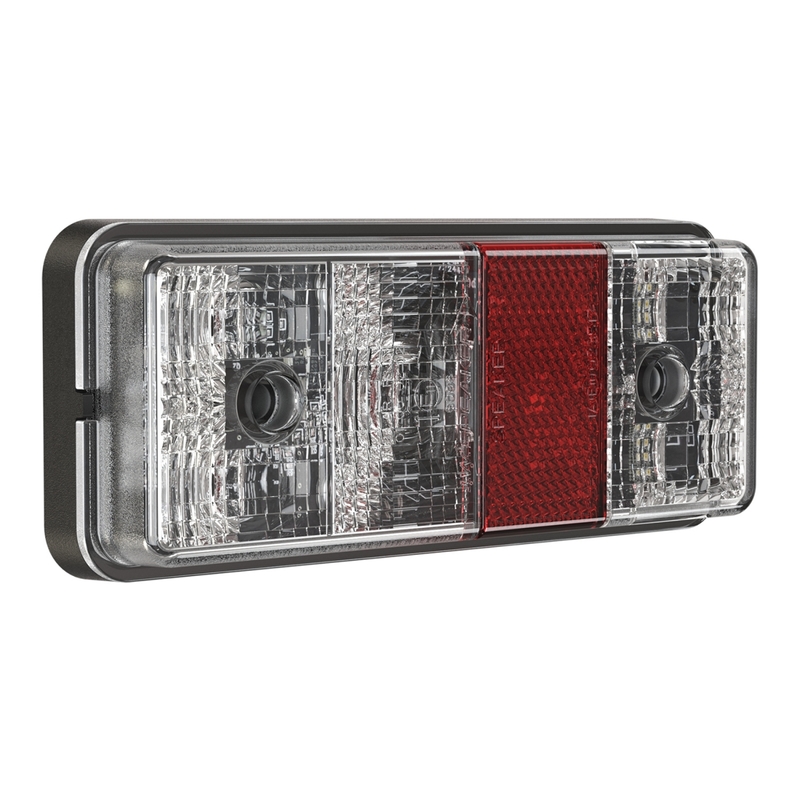 The Model 220 is a rectangular stop, tail & turn light designed with premium performance LEDs for a highly visible signal for maximum safety. 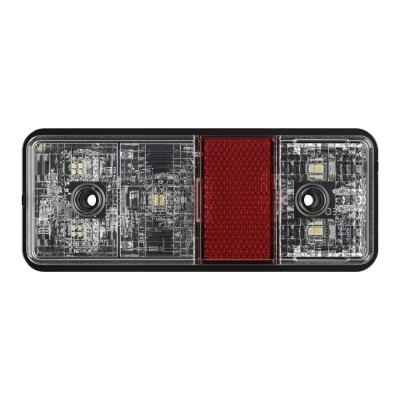 This compact combination lamp has a total of 4 functions in addition to reflex reflectors: (1) rear turn, (2) tail light, (3) stop light, (4) reverse. Molded of rugged polycarbonate, these lamps are perfect for off-road agricultural and industrial vehicles.